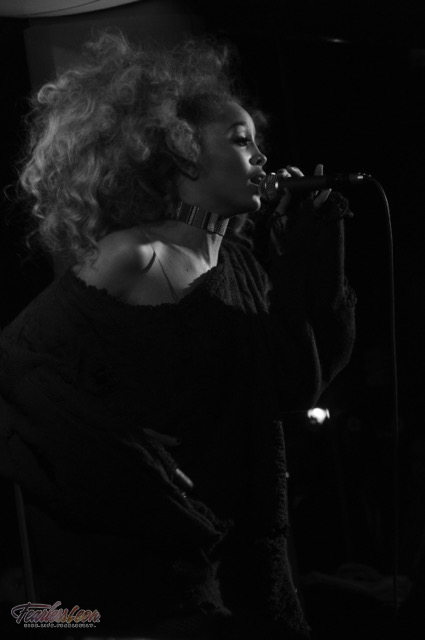 On Saturday, Lion Babe performed at Target First Saturday's at the Brooklyn Museum. First Saturday's are always a lot of fun, but this one was very special for the FearlessLeon team. The performance was the closing program of the opening night celebration for the "Basquiat: Notebooks Unknown" exhibit. 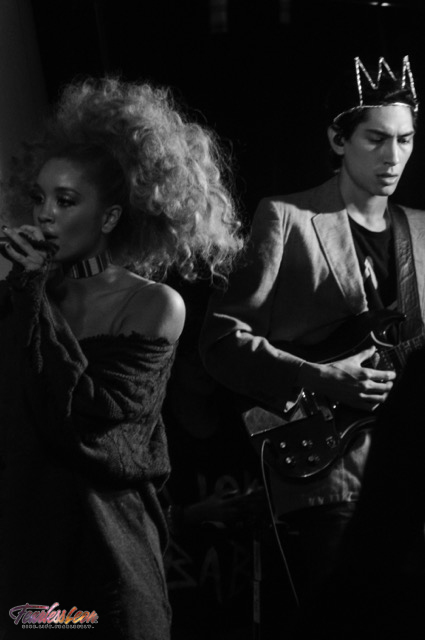 The experimental soul duo (Jillian Hervey and Lucas Goodman) closed the night out and we couldn't have been any happier to have witnessed musical talent that embodies our team's inner jungle goddess. My 4'11 self finagled my way through the crowd until I reached the seating area closest to the stage. Jillian Hervey started her set with a "Hello Spring" sign that she held up for the crowd to see. The energy in the museum lobby shot up as she started to dance. Their dance and response was our first look into the duos energetic relationship. Jillian's expressive modern dance moves coupled with her wild hair was a call to her inner lioness. One can tell that she's a trained ballerina with a jungle flare. Her sensual kicks, floor rolls, and arabesque alongee's felt like brush strokes. The thought of "welcome to my jungle" was translated as Jillian moved across the stage to Lucas' live MPC sounds. Before performing their first song, Jillian asked the audience "Could you love a lion wild or tamed?". She opened her show with the smoky "Jungle Lady". Being in her presence brought me back to how I felt when I started FearlessLeon.com, full of desire to tell stories and share my experiences as a Lion woman. Ana our F-Spirit contributor says "Jillian is more than just a singer, she is a performance artist. You can clearly see that she has an equal love for dance, singing and those around her and has something to share with the world". Our guest contributor Janelby Ramirez who was also there with us said "she got on stage and everyone in the room left a little more whole. 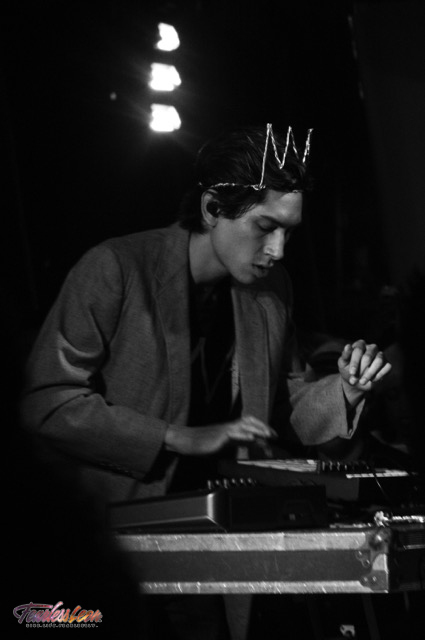 We roared right along" and my colleague Sherina Florence said "Lion Babe is my spirit animal." I couldn't agree with all three ladies. Someone has finally stepped up to follow the sounds of Erykah Badu and I'm so here for it. Here are some photos captured by Isaac "Soup" Campbell and footage captured from Sherina and myself's iPhone's. Is It Better To Be Right Or To Be Credible?